Greeting customers when they enter your business is good customer service, but it won’t make yours stand out. 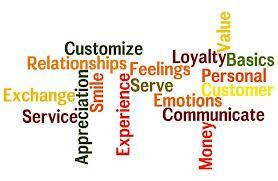 Creating a unique customer experience (CX) is the best way to make a lasting impression. 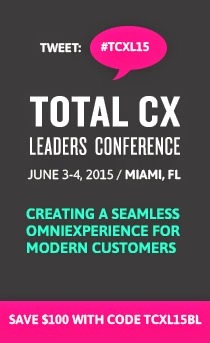 For a truly memorable experience, companies must find new ways to create innovative CXs. Recently, Forbes shared four ways some companies are doing just that. Rethink Everything. For ages, restaurants everywhere in the world have worked the same way. When developing new ideas for CX, restaurateurs aren’t apt to consider upsetting that basic structure. But, Rajat Suri is seeking to change that with the Presto tablet, a touch-screen gadget that allows customers to skip the waiting part of dining in. Confound Expectations. Another type of business that has stuck to the same procedure is the bank. John Wynn of Universal Mind explained how one bank is innovating around customers’ expectations in a way that doesn’t require high-tech gadgets. Consider Soft Innovation. Even companies that peddle product instead of services can innovate without inventing new hardware. In “The Method Method,” Eric Ryan and Adam Lowry refer to the concept as “soft innovation.” Soft innovation means highlighting small things about a product in a way that alters the CX. Treat Them Like V.I.P. Threadflip has made reselling clothes easier with White Glove Service, a fashion website that eliminated the hassle of listing and shipping used items. Sellers must first apply to take advantage of the free service, but those who participate receive prepaid labels, and then send it back to the company. Staff will then suggest prices, post the items, and ship them when they’re purchased. There are countless ways a business can create a unique CX. It means that no matter how many brilliant customer experiences other companies implement, there’s always another idea out there to transform the CX. Why The First 100 Customers are So Important and Why Revenue Cures All Problems.